Australian farmers are growing more fruit and nuts tells the latest data released from the Australian Bureau of Statistics (ABS). Findings from the ABS’ 2015-16 Agricultural Census found that production has increased in most fruit and nut commodities grown in Australia. Queensland and Victoria were major contributors to the increase with fruit production jumping in both states. Australian farmers are growing more mandarins with production increasing by 24 per cent for 2015-16, or 24, 100 tonnes. This was driven by production in all states, but production in Queensland jumped by 23 per cent largely to an increase in the number of trees that can bear fruit. 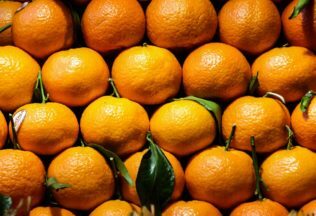 Queensland accounts for 59 per cent of all of Australia’s mandarins. Australians can rest easy knowing avocado production reached record numbers in 2015-16, an increase of 39 per cent to 67, 000 tonnes. Production levels jumped in all states, but particularly in Western Australia which increased its production by 53 per cent and Queensland which grew its production by 24 per cent. Both states now produce more than three quarters of Australia’s avocadoes. Apple production increased 5 per cent to 308, 3000 tonnes with increased production in all states except for in New South Wales and Victoria. Victoria, which is the largest apple growing state in Australia, accounting for 43 per cent of all apples, experienced a production fall by 1 per cent due to poor weather in the Goulburn Valley. Hail damage also affected pear production in Victoria which produces 90 per cent of all of Australia’s pears. Despite the bad weather conditions, Victoria produced 93, 500 tonnes of pears in late 2015 and early 2016. Almond production boomed, increasing by 30 per cent for 2015-16 to a record 73, 000 tonnes with production increasing in Victoria to 56, 0000 tonnes and in South Australia to 14, 000 tonnes. There is now 2 per cent less dairy cattle in Australia, with numbers dropping to 2.7 million in 2015-16. The drop came from Victoria, which accounts for approximately two-thirds of Australia’s dairy cows, but its farmers reported owning 6 per cent less cows. There is also one per cent less meat cattle in Australia, with 302, 000 head reported. Western Australia was largely the cause for the drop with a 12 per cent fall in reported cattle. The number of sheep and lambs remained fairly steady in 2015-16 except for in Victoria where numbers fell by 5 per cent. The number of pigs increased by one per cent. Australia’s wheat production fell by 5 per cent in 2015-16 to 22 million. Warm and dry weather conditions were the cause for the fall, with this weather p[particularly hitting the southern part of the country. Victoria experienced a 28 per cent fall in wheat production and South Australia an 18 per cent fall. The total area planted with crops nationally fell by 8 per cent to 11 million hectares. Australia’s oat production increased by 14 per cent in 2015-16 to 1.3 million tonnes. The ABS reported that the briefer growing period for oats was appealing to farmers experiencing a lack of rain. Sorghum production fell by 16 per cent to 1.8 million tonnes in 2015-16. In Queensland, grain sorghum production fell by 25 per cent to 1.2 million tonnes due to dry and hot weather. New South Wales performed better with a 7 per cent increase to 604,000 tonnes produced despite a 12 per cent decrease in the area planted. Barley production increased by 6 per cent to 9 million tonnes over 2015-16. The increase was attributed to timely rainfall, good weather conditions and a 3 per cent increase in planted area. New South Wales increase its production by 39 per cent. The nation’s farmers are getting older with the average age of farmers now 56. The typical farmer now has 35 years experience under their belt. Approximately 78 per cent of farmers are male whilst 22 per cent are female. Farmers reported that 84 per cent of their farm income is from agricultural production holding, 12 per cent from off farm employment and business and 4 per cent from other sources such as relief funding.